For some of us it’s difficult to imagine wining the lottery once, for Richard Lustig this has happened 7 times. Born in Florida and living a normal life from paycheck to paycheck back in 1992, he managed to win a total of $1,047,060.58 with one of the prizes being a jackpot of $842,152.91. Lustig claims to have created a method which can help people win the lottery. His secret can be found in his book called “Learn How To Increase Your chances Of Winning The Lottery”. 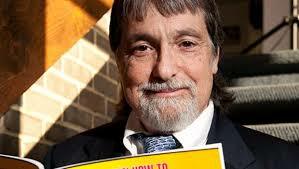 Richard Lustig won his first lottery prize in 1992 which came up to a $10,000 payout. According to Lustig, this came in perfect time as he needed to pay medical bills for the birth of his son and to repair his leaking roof. Lustig claims that it was only when he won his 4th lottery prize that he started to realise a pattern to his winnings. At first he did not receive a lot of support from his community and people saw him as the guy with all the luck. Lustig kept saying to everyone "I won four times. How can you say that's just luck?" His method slowly started to interest the public and his book called Learn How To Increase Your chances Of Winning The Lottery was released in 2010. His method according to himself is very easy to understand and it is not a joke. He explains that for his method you do not need a dictionary or a calculator and that his method will work with any type of lottery game (scratch tickets or number games) in any state or country. Lustig's advice is common sense. Do not go and spend more than you can afford on lottery tickets, rather spend $10 this week and use his method to make this $10 work to give you something bigger to play with next week. Lottery pools are according to Lustig, are something that one must always join. He explains “if you have a $10 budget, joining a larger group where all 20 of you pitch in with $10, your odds just multiplied by 20”. Quick picks are not something he supports and claims that by letting a computer generate your numbers you have a 1 in 175 million chance of winning. Instead of much better odds when you pick your own numbers and always play them. He goes into more details on each point in his book: Winning Lottery Method. Lastly Lustig advises that once you are lucky enough to win a lottery you should immediately seek a financial adviser to help you work with your money. With his prize winnings, Lustig bought himself a Jaguar and Harley-Davidson motorcycle and BMW for his son. But his most treasured splurges have been the family's multiple vacations.